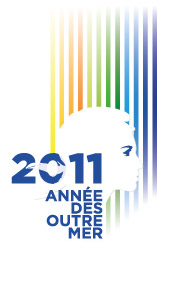 December 14-18, 2011: French overseas territories convention on multilingualism, Cayenne, French Guiana. The French overseas convention on multilingualism is being organized by the French Ministry of Culture’s General Delegation for the French language and the languages of France (DGLFLF). 250 participants from metropolitan France, the overseas territories of France, and some of their neighboring countries will be gathering over 3 days around a series of workshops. Discussions will address how to build a future for the languages of the French overseas alongside the French language. The aim here is to reach a set of recommendations either in the form of a charter or a checklist bringing together the command of French and the promotion of the regional languages. People from Outre-mer do not necessarily speak French as a mother tongue, yet they’re expected to evolve under French law and within a French-speaking professional environment. Therefore, the purpose of a language policy specific to the French overseas territories should be to help these citizens feel “comfortable” with their languages and the plurality of their cultural identities. The point for the organizers, therefore, has nothing to do with opposing the necessary command of French (the common language, that of the Republic, and education) and the no less necessary recognition of regional, indigenous, or mother languages. In fact, how these languages fit in social life, education, cultural practices, etc. is being stated in terms of “complementarity”. – language and artistic creation. The convention is not being held as an academic conference per se, and everyone is welcome. Discussions will be bridging talks based on scientific knowledge on one side and experience feedback on the other. More information and full program available here.